Helen served on the Seattle Community College District Board of Trustees from 1974 to 1985, and was involved with our colleges from the beginning. She was one of South’s earliest and strongest supporters. 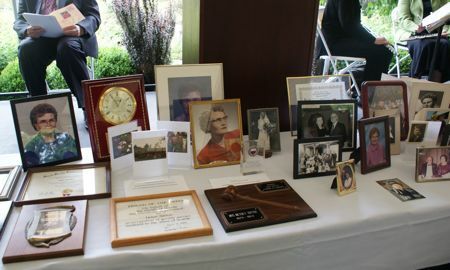 Helen was instrumental in the establishment of the South Seattle Community College Foundation, and she served as board member for many years, including several as president. 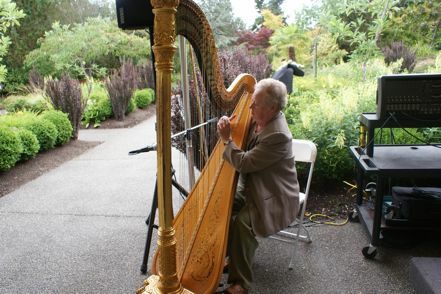 She also helped create the Arboretum, where the Helen G. Sutton Rose Garden was established several years ago in honor of her efforts. In addition to her work on the Arboretum Committee, Helen was a member of the Scholarship Committeee. She also was a Board Member Emeritus for the West Seattle YMCA (WSB sponsor) and had been involved with Fauntleroy Church; on behalf of the church, LeeAnne Beres was to share reflections at today’s memorial, as were several others including niece Lori Edgerly of Yakima, the town in which Ms. Sutton was living when she died in June at age 95. 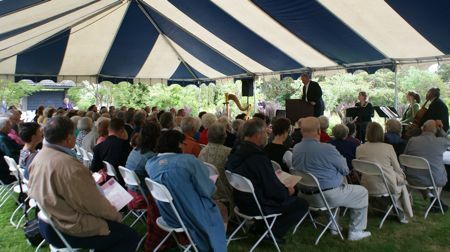 2 Replies to "Photos: Today's memorial for "Mrs. West Seattle," Helen Sutton"
Amazing woman, full life, inspirational service. Churchill quoted for reflections on Helen, “we make a living by what we get, we make a life by what we give”. Something we can all aspire to. Didn’t know the lady, but wow! What a role model. I will think of her each time I visit the rose garden at South Seattle. Woman power!